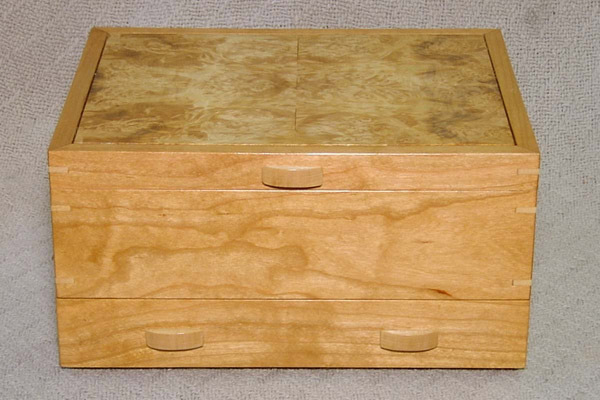 This box is made from Cherry with a Maple burl top. 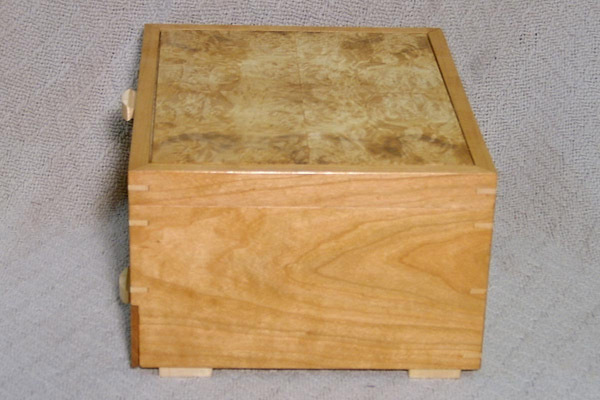 The feet, pulls and keys are Birdseye Maple. The dimensions are 10"x8.5"x5" tall. 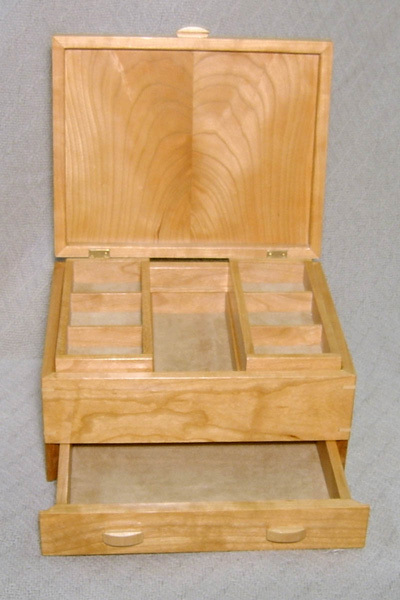 The inside is divided into three spaces and there are two trays that ride above. 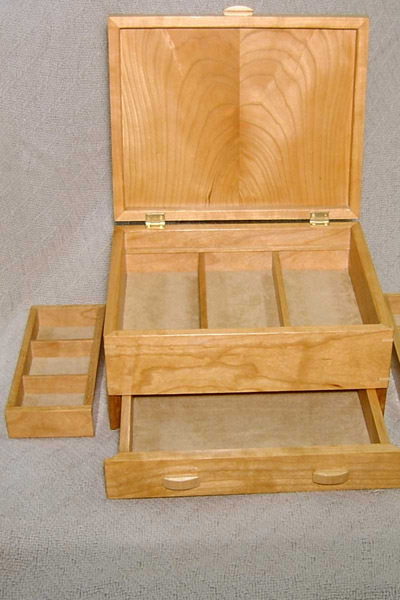 There is also an undivided drawer in the bottom. 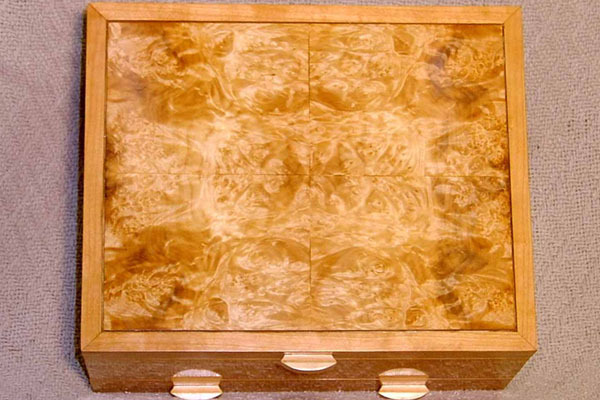 It is finished with a coat of drying oil, top coated with hand rubbed shelac and buffed with a coat of Canuba wax. Hinges are made by Brusso and are self stopping at 95*. The liner is a synthetic suede and will not tarnish silver.